I love weddings. There is something so magical about witnessing two people committing to each other for the rest of their lives and celebrating their love. As much as I love weddings, I don’t like attending weddings as a guest. I have some weird, social phobias and I much prefer attending weddings when I have a task. I’d much rather be put to work and have a job during a wedding than sitting down, making conversation and partying it up. Give me a job people! For a few years, before I had kids, I owned my own wedding planning company and The Hubs and I would do “day of coordination” for couples. Being in the wedding business became difficult once we decided to have kids (too many evenings and weekends away) but I often think back about the weddings I organized and the brides and grooms I met with fondness. I’ve been asked to put on my “Wedding Coordinator Hat” again by my younger sister. She and her fiance are getting married next summer. “Sisser” doesn’t enjoy DIY or the little details that go into a wedding the way I do, so she has given me creative reign for her wedding. Sisser and her fiance Jimmy Jimster having engagement photos taken on their farm. When I was asked to be a part of the Cricut Designs Space Star Challenge I was ecstatic to see that for September the overarching theme was Weddings and Celebrations. I knew that I had to do something inspired by Sisser’s wedding. The lovebirds have picked purples and greens as their wedding colors. “Why couldn’t you get married this year when the Pantone color of the year is Radiant Orchid!” I often bemoan. (Really I just want them to get married sooner hoping that would mean a little niece or nephew a year earlier for me.) I decided for my project that I had to incorporate my sister’s wedding colors and have purple in my project. For my own wedding in 2006, I had the most beautiful bouquet, but I got married in the US and was living in Canada so I couldn’t bring my bouquet back with me. My bouquet ended up wilting and dying before I made it back to the border anyways. I know quite a few people who have had their wedding bouquets preserved, but lets be honest… it never looks even a fraction as good as the original. 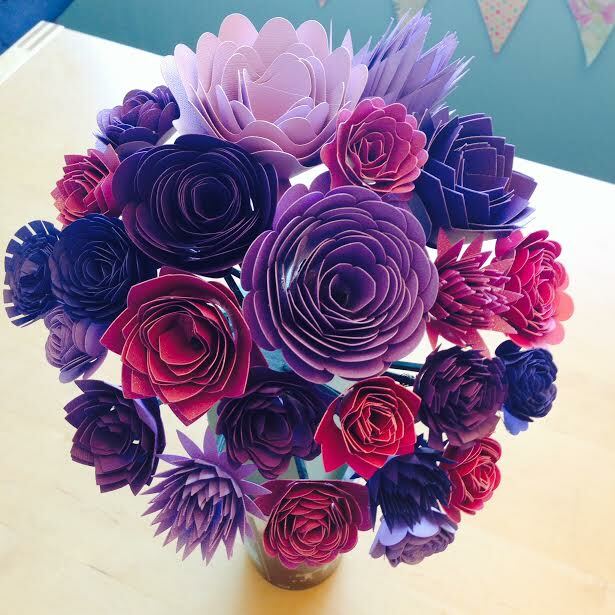 I decided to create a beautiful paper bouquet with my Cricut Explore that would be a statement piece. I wanted to create a bouquet that would be a fraction of the price of a regular wedding bouquet but that would look so beautiful and intricate that everyone would be talking about how lovely the bouquet was. Beautiful isn’t it? This bouquet definitely wasn’t a quick project. 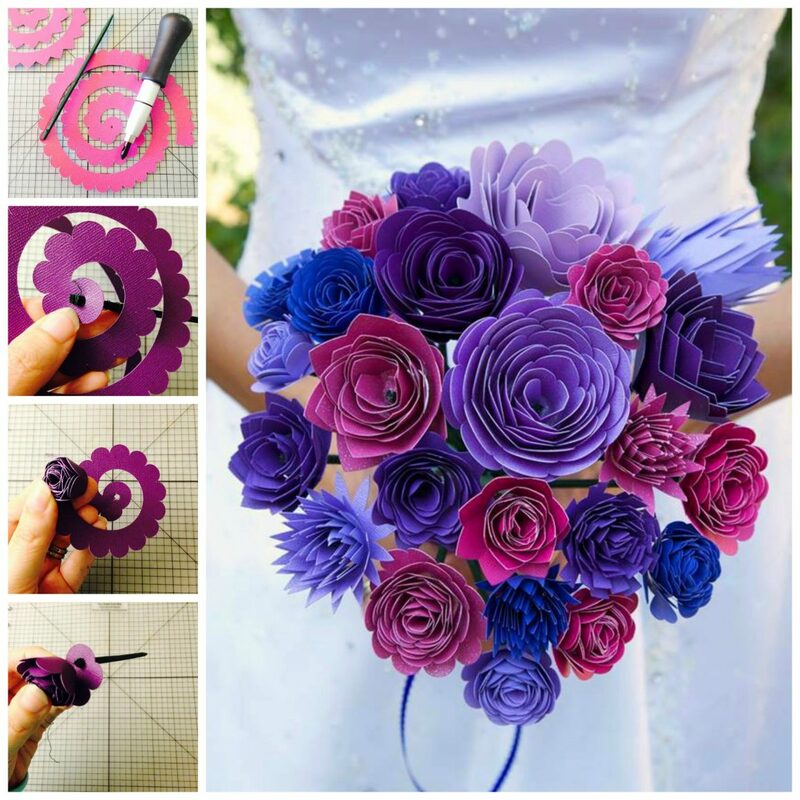 I would call it a labor of love… which shouldn’t a wedding bouquet be? It was time consuming but easy to make (because doesn’t Cricut make everything easy?) It was so easy to make that I dare say– even Sisser could make one. Additionally it was extremely inexpensive to make… and doesn’t every budget conscious bride love an inexpensive DIY project? 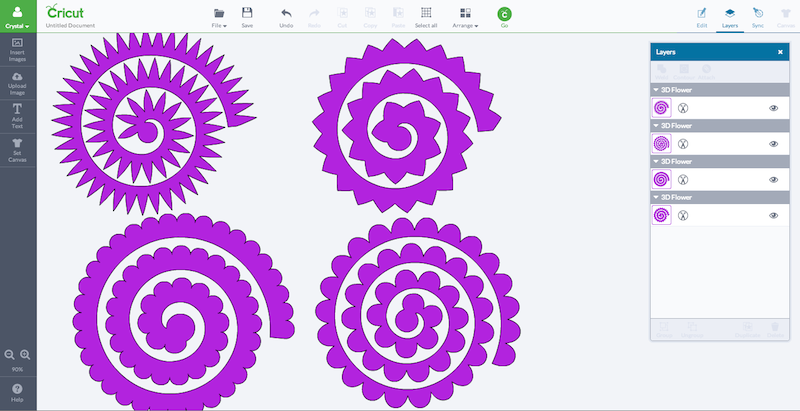 In Cricut Design Space search 3D Flowers. 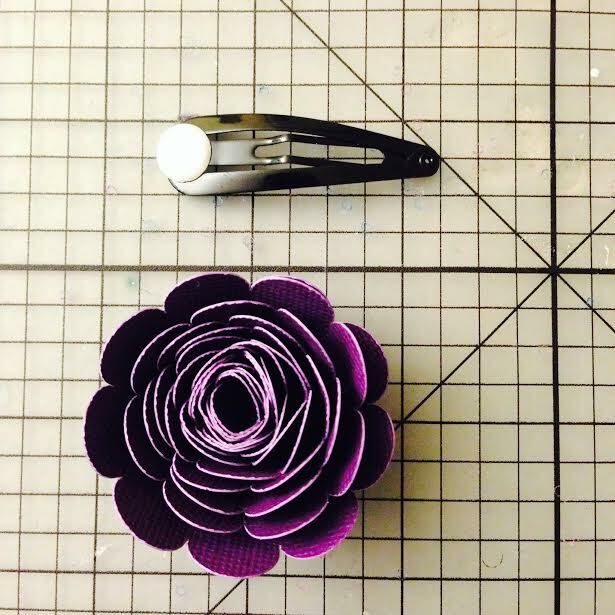 Pick your favorites and have your Cricut Explore cut the flowers in a variety of different shapes. Mine ranged from 4 inches in diameter to 11 inches in diameter. Once you have cut your flower, weed out the paper that you don’t need, leaving the flower behind. Punch a hole in the center, round part of the flower. If you don’t have a punch you could probably use a bamboo skewer to make a hole or even the pick itself. Thread the pick through the hole, and wrap the wire over the circular part of the paper and down and around the stick. 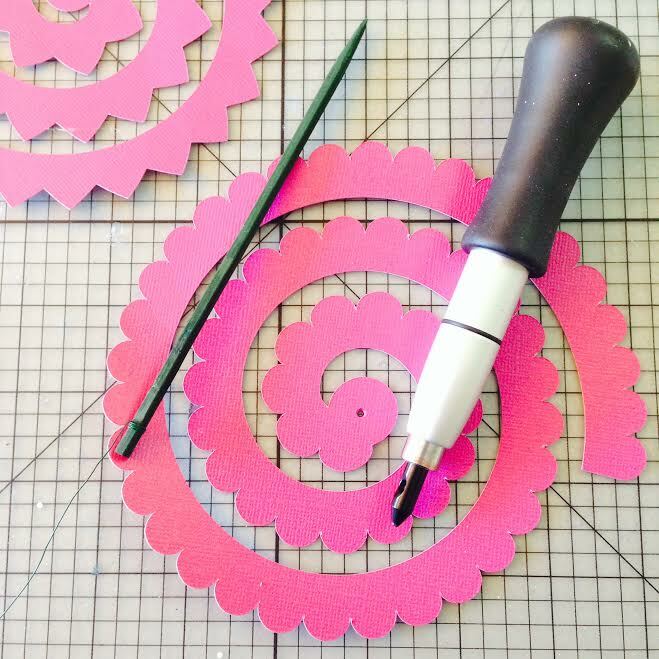 Starting from the outside of the circle, roll your flower into the center forming a flower, pinch slightly as you roll. Once you have created a number of flower (we had 24 in total in our bouquet) start sticking the stems into your floral foam in the arrangement that you want your bouquet. I found that sticking the foam in a large cup was a good way to keep the foam standing upright. Once all of your flowers are into your floral foam, shave down the foam into a “stem” shape and wrap the foam in fabric or ribbon. Voila! 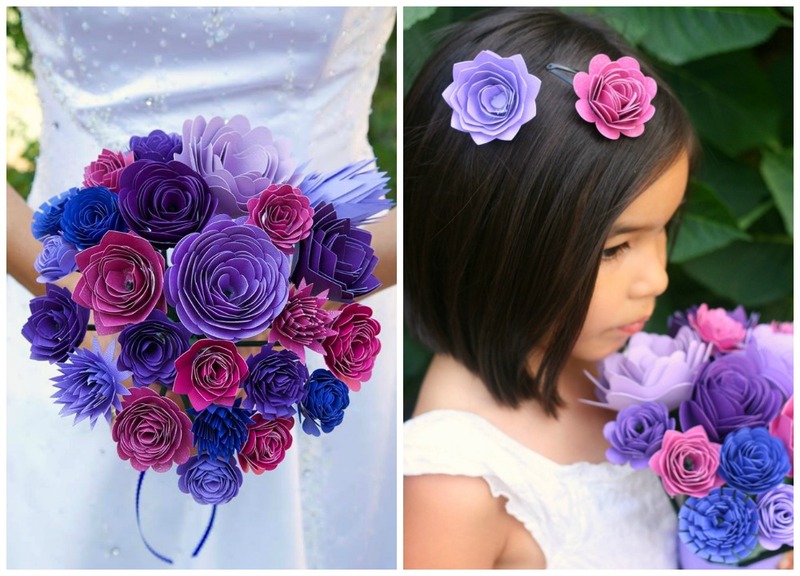 Your very own paper flower bouquet! Voila! 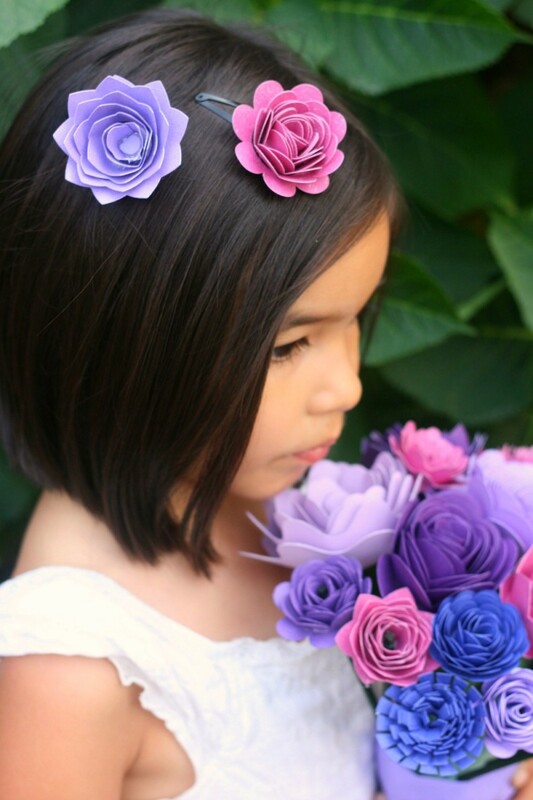 Adorable flower hair clips, perfect for a flower girl. 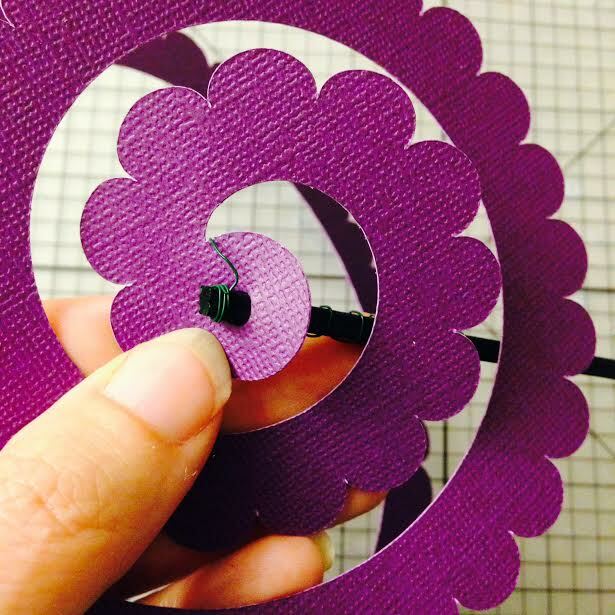 You could also make these with felt for a more permanent clip. 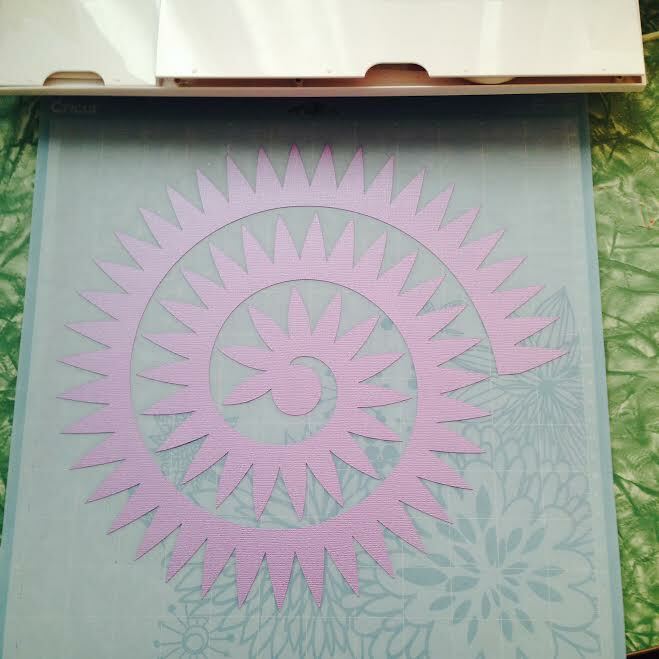 I’m always amazed by how easy the Cricut Explore makes crafting projects. I love searching Pinterest for great Cricut Projects. I was BLOWN AWAY today when I saw the incredible projects that my Cricut Design Space Star Challenge team members from team Lucky #13 made. Our team theme was A Floral Affair. I’d say that they pretty much nailed it! Please take a moment to stop by my teammates blogs and explore all of their fabulous projects! We’d love for you to pin this post! Aren’t my barrettes and bouquet beautiful? Your paper bouquet looks so alive. I wish I learn how to make one, the color combination looks so perfect. Thank you for sharing this. 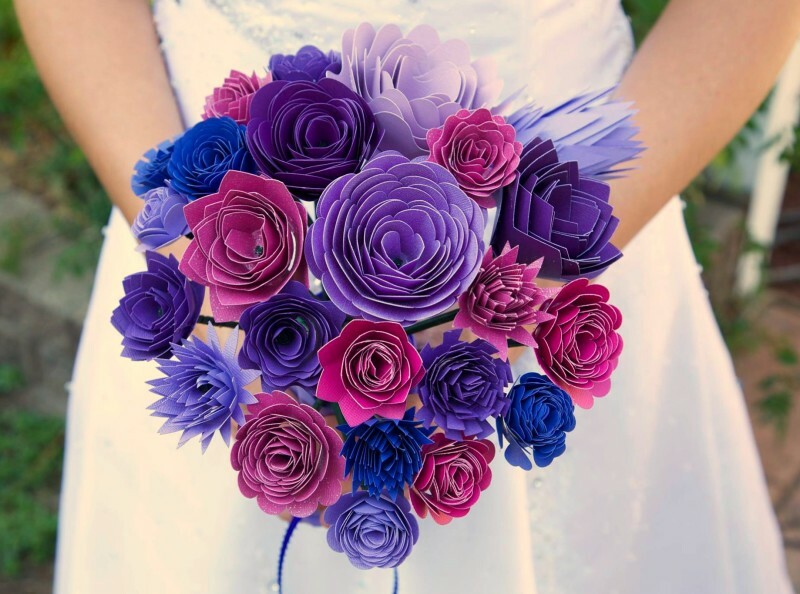 I’ve so much about this paper flowers for wedding. I think it’s a good option. 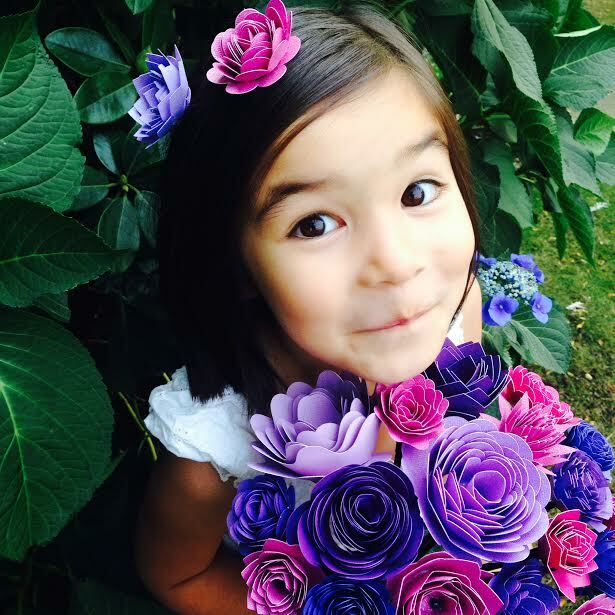 I’m crazy about paper flowers and love what you did with these! Absolutely gorgeous!!! I’d love to try that someday. These flower bouquet is best for me. Thanks for this bridal bouquet tips. I will try this for my kids. Wow such an awsome post! 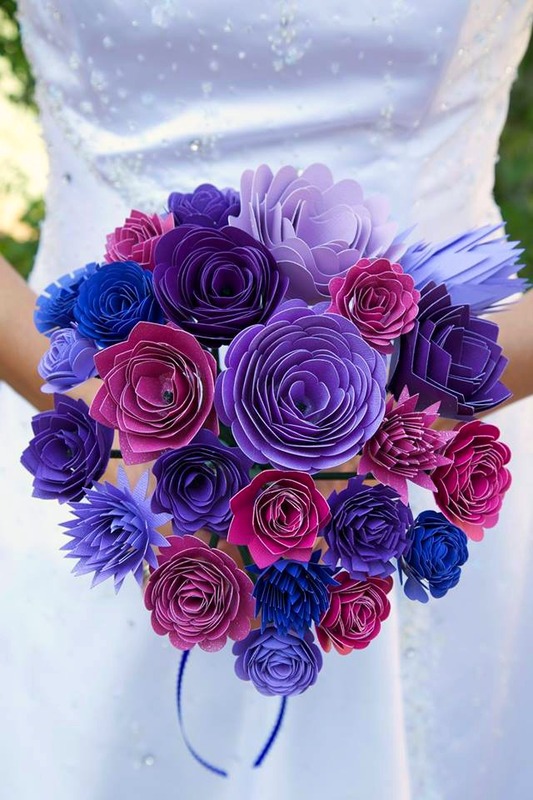 You have shared such an awsome post.I love to make bouquet and the pictures you have shared in your post are really very interesting and beautiful.. Color of flowers is really very nice.You have shared some designs also in your post these are fabulous.Keep sharing more posts. Thank you so much for such a post! They’re so cute! You’re so creative! I love weddings too!